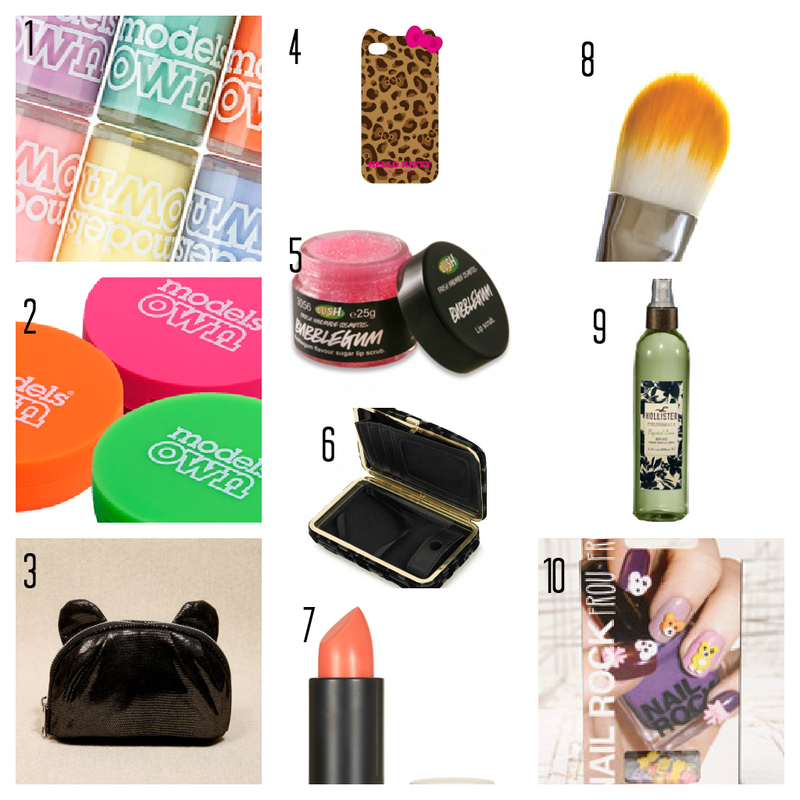 ♥ 1- Models Own Box Set, I still dont own one of their nail polishes! ♥ 2- Models Own Lip Balm, I love my lipbalm and this one looks cool! ♥ 3- Cosmetics Bag, I need a new one, this is cute and in the sale! ♥ 4- Hello Kitty Phone, I like to funk up my phone! ♥ 5- Lush Lip Scrub, You can eat it too! ♥ 6- iPhone Purse, I hate having everything in different pockets and this keeps my phone safe! ♥ 7- Topshop Lips in Ooh Laa Laa, I dont own this colour! ♥ 8- Foundation Brush, I need a new one! I think I'm going to have too!